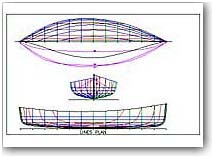 Peapod - This rowing and sailing craft is designed to be of glued lapstrake construction using marine plywood. 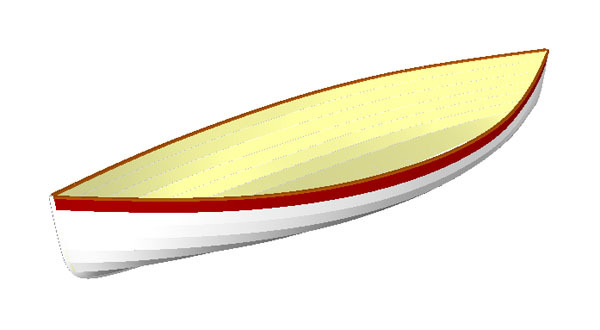 The resulting boat, fully fitted, should weigh less than 100 pounds. 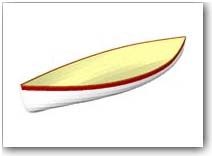 The classic lines are taken from the rugged inshore lobster craft and St. Lawrence pulling boats.